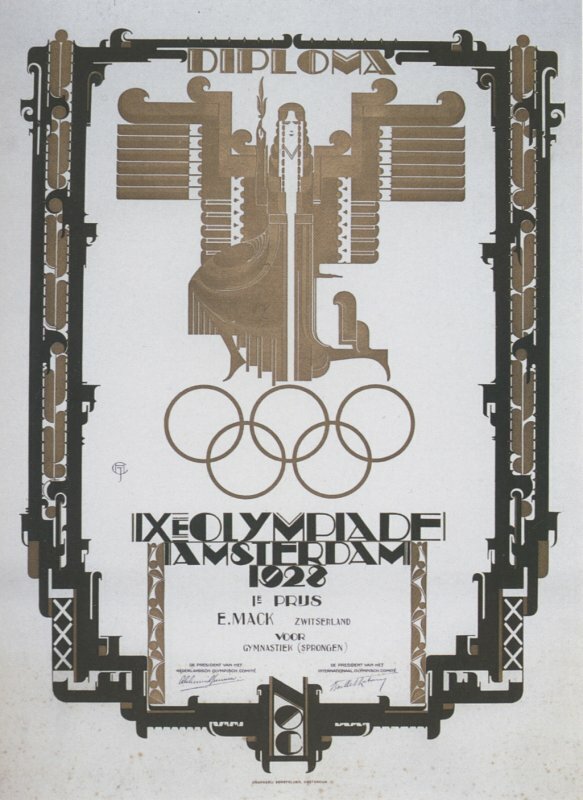 As the choice of a souvenir certificate was in the same manner left entirely to the Committee, three reputable Dutch artists were invited to submit designs. The one selected was done by Mr. C. J. VAN DER HOEF and printed in gold and black by the printing firm of SENEFELDER at Amsterdam. After the Games 1842 of these certificates were sent to such prize winners and officials who were entitled to them according to the stipulations.